Schaeffler Technology Partnering Asia-Pacific 2019, seeks startups with new solutions in the field of robotics and urban mobility. They help further develop your technology in a joint development project to get support for product testing and mass production as well as establish Customer-supplier relationships. Apply to join a two-day event 4–5 June, 2019 in Yokohama, Japan. Selected startups will be invited to meet Schaeffler Japan to identify collaboration opportunities, first steps. Application is open until 14 April 2019. Invited startups can participate for free; but travel is not included. Gyeongbuk Center for Creative Economy & Innovation (GCCEI) provincial government agency from South Korea supports local startups and helps them develop and expand internationally, including Vietnam. ​On Thursday, March 14th 2019, HATCH! signed an MOU with GCCEI to cooperate in an ongoing basis. 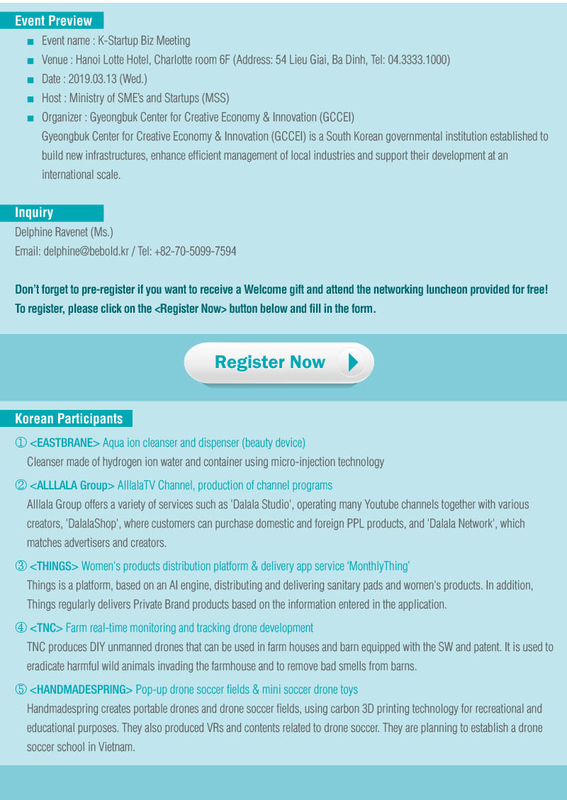 Since its opening in 2014, GCCEI has supported startups through funding and consulting, programs to explore new markets at home and overseas, and by encouraging managerial and technological innovation with the objective of enhancing the creative economy in Korea. 4/3 (Danang), 7/3 (HCMC) Orange Fab Asia - has shortlisted! Selected startups will pitch to get expense-paid travel to pitch in Tokyo, Seoul, or Taipei (you pick! ), meet investors, expand overseas now! Innovation Development Innovation Ventures grants up to USD 5 million for innovation-based enterprises. HATCH! Ventures investment network registration. Register to get your investment requirement circulated to HATCH! 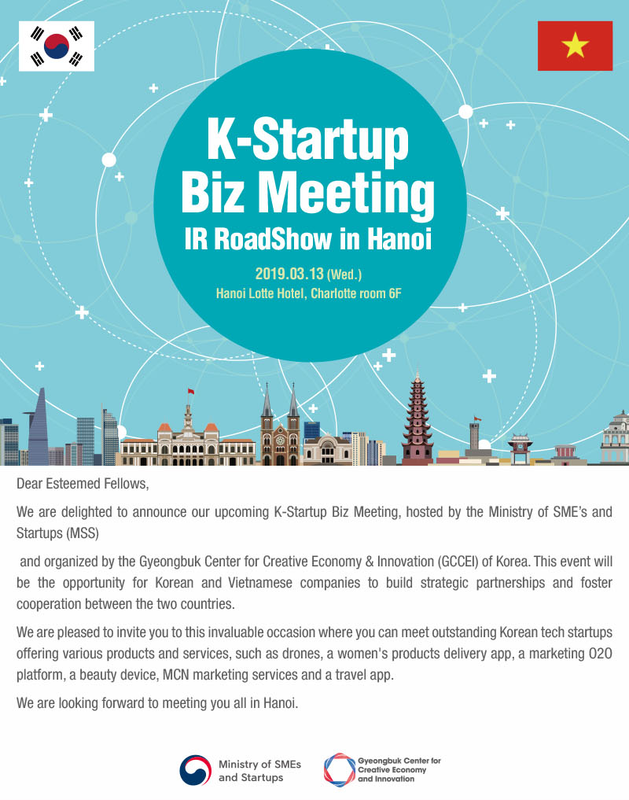 private network of angels, venture capital companies, grant programs, and other entities seeking investment into Vietnam startups. Note: your information must be validated by our team before circulation. 11/2 (Global) deadline to apply to #PEERUSAID to supplement your #impact #innovation dreams. There's still time to apply! 28/2 (Global) 2019 Global Entrepreneurship Summit - the world’s top entrepreneurs in five innovation sectors. Learn to see if you should be part of this one-of-a-kind, exclusive event, and apply. 25/3 (Hanoi), 27/3 (Danang), 29/3 (HCMC) GIST Net Investors Training - get a full day with internaional experts U.S. Department of State VentureWell DNES - Vườn ươm Doanh nghiệp Đà Nẵng circo.co KhoinghiepQuocgia.vn To express interest, contact xinchao@hatch.vn. Organized by 14-years experienced partner, a new six-months incubator will launch in HCMC soon. Watch for news here!